At the Name of Jesus, Every Knee Should Bend. 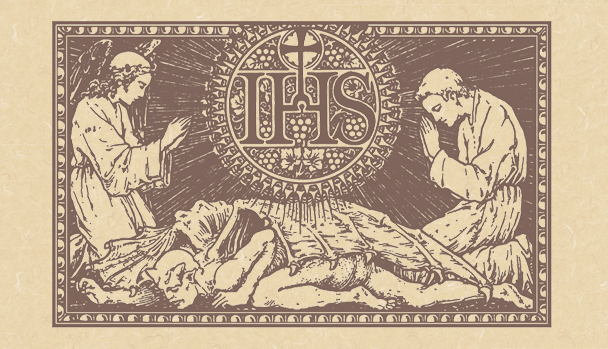 The Second Day after the Octave of the Nativity; or, the Memorial of the Most Holy Name of Jesus. • I John 2: 29—3: 6. • Psalm 98: 1, 3-6. 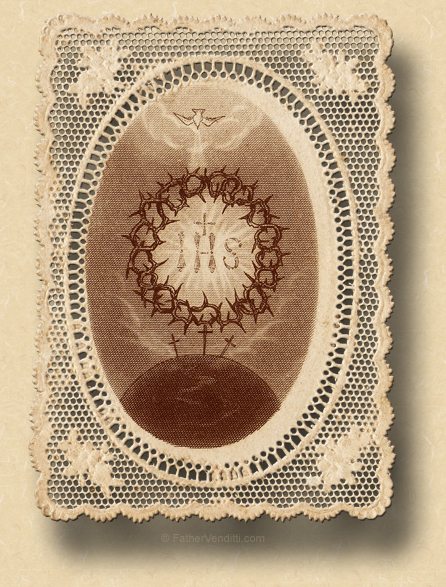 …or, any lessons from the Votive Mass of the Most Holy Name of Jesus. 7:59 AM 1/3/2018 — These few ferial days we have between Christmas and Epiphany present to us certain conversations John the Baptist has with various people: representatives of the Sanhedrin who are trying to figure out what he's all about, his own disciples who seem to be concerned that there's this Jesus fellow whom they think is stealing some of John's thunder, and finally our Blessed Lord Himself. I'm sure it's unrealistic for me to think that you could remember a homily I preached for you back in June, but, it was on the Solemnity of the Nativity of John the Baptist that I referenced a remark made by Saint Augustine in the fourth century, in which he points out that the date for celebrating the Baptist's birth was chosen because of its proximity to the Summer Solstice when the days begin to grow shorter, as opposed to the Nativity of our Lord, which corresponds to the Winter Solstice when the days start to grow longer, which he says is consistent with the remark made by John the Baptist in John's Gospel, whereupon being told that Jesus has begun to baptize as he was, he says, “He must increase, and I must decrease” (John 3:30). Which, when you think about it, is the quintessential statement of the interior life for the Christian: our goal should be to reproduce in ourselves the life of Christ so perfectly that we ourselves begin to disappear and Christ begins to show through us in perfect purity. We are particularly blessed in a twofold way today, because today is also the Memorial of the Most Holy Name of Jesus, a devotion promoted by the Franciscan missionary, Saint Bernadine of Siena, in the fifteenth century, and which he popularized through the use of an ancient monogram from the third century, which appears to us to read “IHS”. 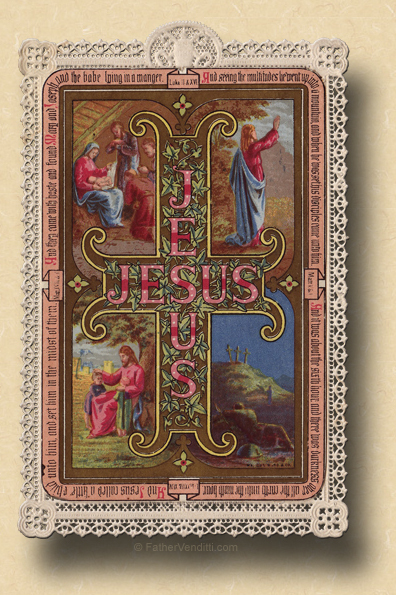 You see it often on the covers of books and missals, and you often see it embroidered on liturgical vestments. Everyone recognizes it, but a lot of people don't know what it means; they either think it stands for something in Latin, or else they come up with their own bizarre theories. It's really very simple: it's the first three letters of the name “Jesus” in Greek, and was made popular by Saint Bernadine of Siena in honor of the Most Holy Name of Jesus. Several times each day we pray the Hail Mary. It's official title, as you know, is the Angelic Salutation, and it comes from chapter one of Luke's Gospel, in which the angel Gabriel salutes the Blessed Virgin with the words: “Hail, thou who art full of grace; the Lord is with thee; blessed art thou among women” (Luke 1: 28 Knox). When it started to become popular as a prayer in the eleventh century, the name of the Mother of God was inserted into it, and it started the take the form we know today: Ave Maria, gratia plena, Dominus tecum. Benedicta tu in mulieribus, et benedictus fructus ventris tui. "Hail Mary, full of grace, the Lord is with thee. Blessed art thou among women, and blessed is the fruit of thy womb." But it was Bernadine of Siena, as part of his preaching about the Most Holy Name, who first added the Holy Name of Jesus to the end of that sentence. * It is a pecurliarity of the Missal of St. John XXIII (1962) that January 1st is designated as "The Octave Day of the Nativity" and not called the Circumcision, while the ferial days following are listed as "Ferias after the Circumcision." It is not clear whether this is a misprint in the Missal, or simply a lack of clear thought on the part of Pope St. John. The Second Class Feast of the Holy Name was observed yesterday in the extraordinary form.